As part of the public opinion survey regarding the European integration process and the reforms that are its integral part, 66 percent of the respondents think it is necessary to implement reforms for the wellbeing of the population and better governance of the country. Among three models of a country in which they would like to live in, the citizens always opted for Switzerland assessing it as a regulated country. Actually, the needs of the Serbian population are no different than the needs of the people in Switzerland: stability, efficient municipal services, equal treatment of all citizens, minimum bureaucracy, accountability and transparency of the local authorities’ operations; i.e. the principles of good governance applied in every day’s work. That is why the representatives of the 25 municipalities of South East and South West Serbia, supported by the Government of Switzerland and the European Union (EU) through the development programme European PROGRES, learnt about good governance from the best, since governance experience in Switzerland goes back 200 years in the past. During the five-day study visit they had the opportunity to find out about the organisational system of the local governments in Switzerland, their funding and competences, citizen participation mechanisms, as well as the models of regional cooperation in the area of transportation, culture, economy and other. The participants visited four local governments near Bern and, based on the practical example of the municipality of Stettlen, they learnt about the governance in a small local government where the Mayor, Lorenz Hans, presented two main planning documents emphasising that the development in stages is a priority and early communication to the population represents the key to success. Citizen participation mechanisms as well as the cooperation between the municipalities were presented during the visit to the Huttwil municipality. Special attention was given to the measures for fostering the local economy as well as the inter-municipal cooperation in the area of service provision for the population. On this occasion, our municipalities Crna Trava and Vlasotince also spoke commendable about their cooperation in providing social protection services through the work of a joint social welfare institution. Representatives of the local self-governments attended the meeting of the citizens’ assembly in the Huttwil municipality and witnessed the direct participation of citizens in the discussion and adoption of the annual municipal budget for 2016 which was a unique example of applying the instruments of direct democracy in practice. “We had the opportunity to get a first-hand experience of the essence of the Swiss democratic system based on small municipalities, assemblies of all citizens and expression of populations’ opinion through the referendum. 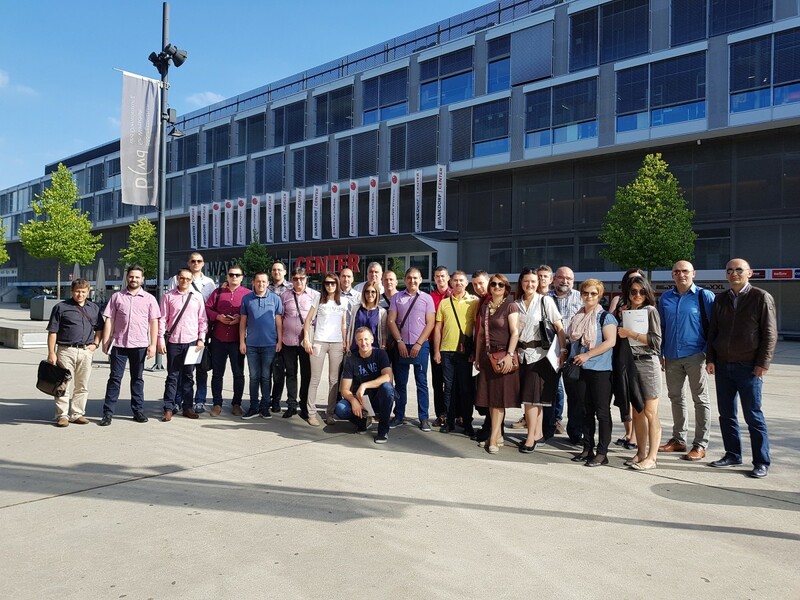 Switzerland is a country of impressive organisation and this study visit helped us understand the functioning of the system on which it is based”, said Uroš Veličković the representative of the Aleksinac municipality. Everyone agreed that although the systems of the two countries are very different, what we can apply immediately is better coordination as well as higher citizen participation in decision making. As mentioned during the visit to the city of Thun, it is very difficult to implement changes from the top tier of government in Switzerland since most processes originate from the local level and the municipal parliament, in line with the trust of the citizens, should represent their interest in a reliable manner. “In Switzerland we saw the state and social systems that Serbia should strive for in the future through the reforms implemented”, said Saša Vasilić from the municipality of Priboj. Marinko Đorđević from the Department for Budget, Finance, Economy and Social Affairs of the Vlasotince municipality added that the concrete examples from practice were exactly what had helped them understand the principles of good governance so that they could apply the greatest number of positive experiences in their own system. “This study visit complemented the knowledge acquired during six workshops held throughout the last year and a half and the participants were committed to the work and mastered the skills they would use in the next period to develop the recommendations for application of the lessons learnt in the local conditions in Serbia. Governance is a process for which vision, transparency and consensus of all parties represent the key” said Miriam Strecker, good governance expert from Switzerland. The Study visit to Switzerland was supported by the Swiss Government and European Union through development Programme European PROGRES, which paid special attention to the activities in the area of good governance trying to help the local self-governments to improve their work through introduction of the principles of efficiency, transparency, accountability, citizen participation and anti-discrimination. The Swiss PRO Programme builds on the development momentum created by its predecessors, and in next four years it will continue supporting the local self-government through strengthening the municipal capacities for good governance and initiating structural local governance reforms.